If you’re like me, you’re spending more than your fair share of hours devoted to staying on top of the holiday madness. Aren’t we all trying to get that shopping done so we can finish the wrapping, sit back and watch holiday shows while eat cookies? 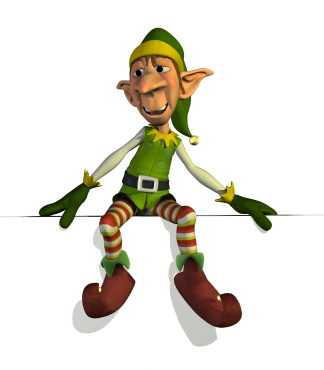 Gosh, I wish I had a holiday house elf to help me get it all done. Would you try to change the world if you thought it had no future? Graduating from high school is a time of limitless possibilities — but not for Glory, who has no plan for what’s next. 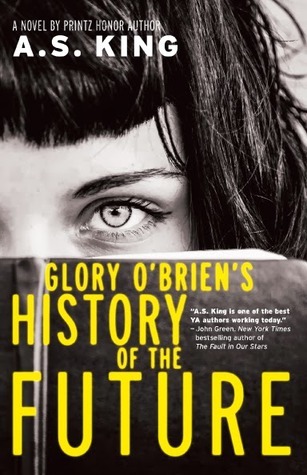 Her mother committed suicide when Glory was only four years old, and she’s never stopped wondering if she will eventually go the same way… until a transformative night when she begins to experience an astonishing new power to see a person’s infinite past and future. From ancient ancestors to many generations forward, Glory is bombarded with visions—and what she sees ahead of her is terrifying. I need to preface this by saying I ADORE all of A.S. King’s books, but this may be my favorite book of 2014. It’s dark, it’s hopeful, it’s human, it’s edgy and it’s outside the box while being universal. I can’t stop thinking about it. 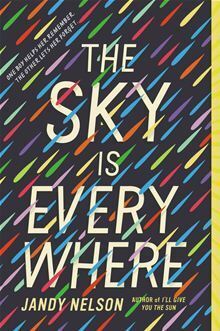 This book may be the closest book to replicate that feeling I had in 10th grade when I read The Giver by Lois Lowry for the first time. Seventeen-year-old Lennie Walker, bookworm and band geek, plays second clarinet and spends her time tucked safely and happily in the shadow of her fiery older sister, Bailey. But when Bailey dies abruptly, Lennie is catapulted to center stage of her own life – and, despite her nonexistent history with boys, suddenly finds herself struggling to balance two. Toby was Bailey’s boyfriend; his grief mirrors Lennie’s own. Joe is the new boy in town, a transplant from Paris whose nearly magical grin is matched only by his musical talent. For Lennie, they’re the sun and the moon; one boy takes her out of her sorrow, the other comforts her in it. But just like their celestial counterparts, they can’t collide without the whole wide world exploding. The beautiful thing about this book is it’s raw, honest pain intermingled with soulful, optimistic love and humor. When you’re done with this book you’re going to want to hug it. Nelson does gorgeous things with words. Homeschooled by his hippie grandmother, Capricorn (Cap) Anderson has never watched television, tasted a pizza, or even heard of a wedgie. But when his grandmother lands in the hospital, Cap is forced to move in with a school counselor and attend the local middle school. 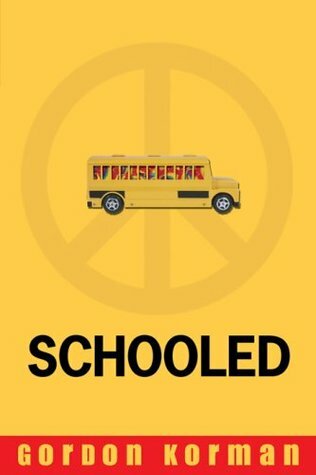 While Cap knows a lot about tie-dyeing and Zen Buddhism, no education could prepare him for the politics of public school. My absolute favorite Gordon Kormon book to date and I’ve been reading a bunch–my boys adore his writing. Schooled is sweet and hilarious and I’m bound to read it again because I loved it that much. Cap is a character who wiggles his way and by the end you never want him to leave. Journey is a wordless picture book that harnesses your imagination and then sets it free. Every time I flip the pages of this book I want to illustrate all the magic of my world. 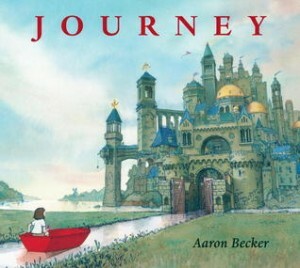 A gorgeous journey of heart and soul. 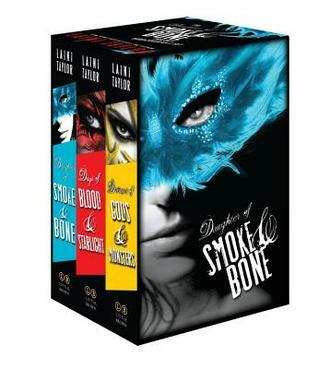 The Daughter of Smoke & Bone Trilogy Gift Set includes three hardcovers: Daughter of Smoke & Bone, Days of Blood & Starlight, and Dreams of Gods & Monsters. Trilogies are tough to write. The first book is always hard to follow. Not for Laini Taylor. In my opinion, each book was better than the one before. This may be my favorite trilogy ever. The world building and character development are exquisite. And there is so much thought provoking depth without preaching. I can only believe that Taylor was able to write such an intricate story because Karou and her world are completely and utterly real to her. Have you read any of my recommendations? Did you love them too? Which one is your favorite?